Career Senior Manager, BT Americas, Inc.
Richie is a “gorilla” guide and follows the best fishing opportunities up and down the Chesapeake throughout the year. You will find him chasing the bite from the shallows on the Susquehanna Flats in the spring, to offshore structure of the mid-Bay in the summer, and ending the season in the late fall at the Chesapeake Bay Bridge Tunnel where the Bay meets the Ocean. 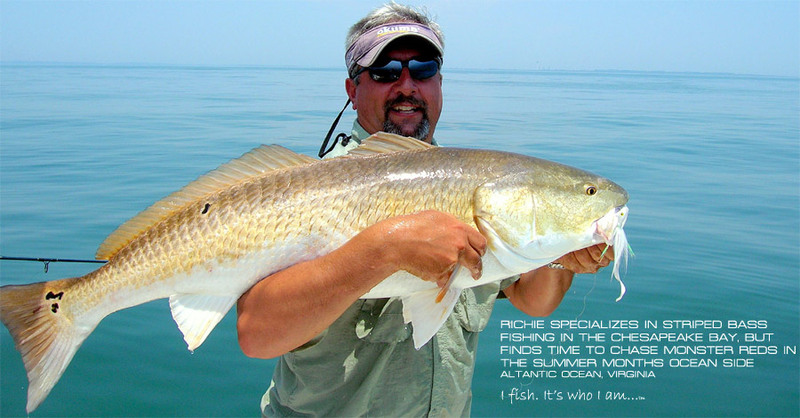 Richie is an avid outdoors man and spends most of his time chasing fish and game on Maryland’s Eastern Shore. He has fished the Chesapeake Bay region for 40+ years and his desire to share his experiences and knowledge evolved into forming Anglers’ Connection Guide Service. 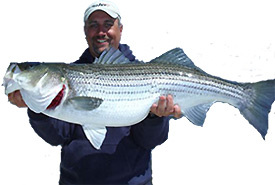 He has been guiding professionally in the Chesapeake Bay region for over twenty years and his experience, easygoing style, and humor have earned him a reputation as one of the top light tackle and fly fishing guides on the Chesapeake. A good guide should be part fish, teacher, and coach with a bit of stand-up comic thrown in and Richie has all of these attributes. Richie’s been featured in numerous local, regional, and national print media and on television shows such as ESPN’s “North American Outdoors” OLN’s “Sport Fishing Magazine” and “Fishing With Roland Martin”. He is a founding member and President of the Chesapeake Guides Association, and was appointed by the Governor to the Maryland Sport Fishing Advisory Commission where he serves as Vice Chairman. Richie is also a member of the elite Lowrance Electronics “Super Pro Staff”.